If your car use for business and work exceeds 35%, to maximise your car claim you may need to complete a vehicle logbook before 30 June. Is your business use of your car likely to be more than 35% of your travel? YES: Start your logbook now to record your business km's from 1st April to 30th June. NO: Continue to use a diary to record your business km traveled and we’ll claim based on 66 cents per km. Separate rates based on the size of the vehicle engine are no longer available from 1 July, 2015. The only rate to be used is 66cents per km (there were previously three rates based on the vehicle engine size, ranging from 65 cents to 77 cents in 2015). You can claim a maximum 5,000 business km per car. You don’t need written evidence for the km traveled but you must be able to show how you worked out your business km (e.g. Diary records). Your claim is based on the business-use percentage of the expenses for the car. To work out your business-use percentage, you need a logbook and the odometer readings for the logbook period. The logbook period is a minimum continuous period of 12 weeks. THIS MEANS IF YOU WISH TO USE THE LOGBOOK METHOD FOR THIS FINANCIAL YEAR, YOU MUST START THE LOGBOOK BY 1st APRIL if you haven’t already prepared one. The 12 week period must be representative of your travel throughout the year. You can claim fuel and oil costs based on either actual receipts or estimates based on the km traveled and average fuel consumption during the year. NOTE: A logbook is only required once every 5 years – unless your pattern of use changes. Should you keep a logbook? As a rule of thumb, if your work-related travel exceeds 35% of your total annual km's traveled, it may be in your interest to maintain a log book. e.g. Your personal situation will depend on the km traveled during the year and the value of your car for depreciation purposes. The benefits can be substantial! 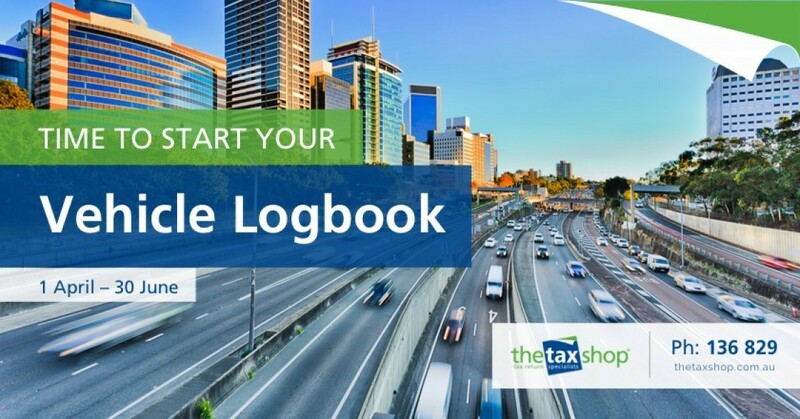 Visit your local Newsagent or Officeworks store to inquire about purchasing your log book.